How to Call Germany from the U.S.
It’s easy to call Germany from the U.S.A. You can use either your Ooma Telo-connected home phone or the Ooma Mobile app. Now dial 49, which is the country code for Germany. Next dial the local number, which will be between five and 12 digits. Ooma is a popular choice for international calls to Germany from the U.S.A. Affordable dialing options range from Basic Service with low per-minute rates to international dialing plans with unlimited monthly calls. Using Ooma’s Basic Service, calls to landlines in Germany are billed at a low rate of $0.022 per minute. Calls to Germany’s cell phones and special service numbers cost $0.305 per minute. Basic Service has no monthly fee for unlimited crystal-clear calling within the U.S.A., and international calls are prepaid, so charges are deducted from your balance. With Ooma’s Premier Service, calling rates to cell phones drop to $0.099 per minute. Calls to landlines remain at the low rate of $0.022 per minute. Calls to special service numbers with area codes 180 and 1888 maintain the rate of $0.305, and rates drop to $0.099 for all other special service numbers. With Premier Service, per-minute charges are billed in addition to the $9.99 monthly charge for the plan. In addition to access to cheaper rates, there are a whole host of additional features you gain access to with Premier Service. For example, Premier customers get powerful call-blocking tools to protect against telemarketers, the Ooma Mobile app for making calls from your mobile phone, voicemail access through email, free unlimited calling to Canada and Mexico, plus many others that Basic Service doesn’t provide. If you frequently call Germany or other international locations, upgrading to one of Ooma’s dialing plans can save you money and give you greater calling flexibility. The Ooma World Plan provides unlimited calls to landlines in Germany. Calls to the country’s cell phones and special service numbers are charged at the same rates as Premier subscribers — $0.099 for calls to the country’s cell phones, $0.305 to special service area codes 180 and 1888, and $0.099 to all other special service numbers. In total, this plan gives you unlimited calling to landline numbers in 60 countries and mobile numbers in 10 countries for a low rate of $17.99 per month. By upgrading to the Ooma World Plus Plan, you get unlimited calling to all phone numbers in Germany, including landlines, mobile phones and special service numbers. With access to more international locations, this plan includes unlimited calls to landlines in 70 countries and mobile phones in 40 countries for just $25.99 per month. International calling cards for Germany typically charge rates that are cheaper than traditional phone plans. For example, Verizon’s standard per-minute rate is $1.49 for calls to German landlines and $1.69 for calls to German cell phone numbers. Comparatively, Ooma’s standard rates are between five and 67 times cheaper than Verizon’s. For even more savings, Ooma offers international calling plans that have unlimited minutes to many global locations. 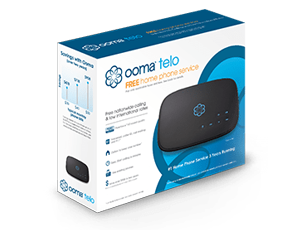 If you imagine you’ll spend several hours per month calling internationally, whether it's catching up with your family or calling for work, upgrading to one of Ooma’s dialing plans will let you spend as long as you’d like on the phone without recharging calling cards or accumulating a high monthly bill. While the Ooma World plans give you unlimited calls to many locations, you can also use Ooma to make free international calls. Any Ooma-to-Ooma calls are 100% free regardless of the amount of time you talk, so if your contact in Germany is also an Ooma customer, you can talk as long as you want and it won’t cost a penny. You’ll also have calls in crystal-clear HD voice, which is much better quality than standard telephone lines can provide.